It was clear that Jose Mourinho wasn't happy with Chelsea assistant coach Marco lanni celebrating in front from him after Chelsea equalized in the dying minute of the game. 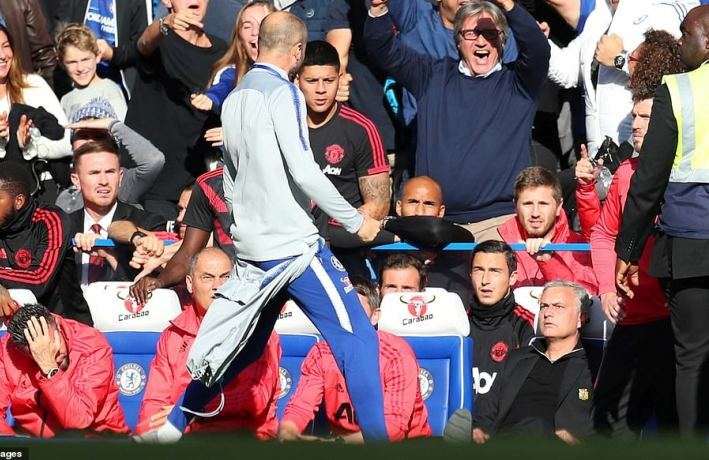 The celebration leads to a bust-up in which Mourinho was involved. Maurizio Sarri has, however, come out to address the issue and also apologize to Mourinho. Sarri also reveals he will speak with Marco lanni again. Sarri also speaks about Chelsea performance and admit he was happy with the performance of the team for 60 minutes.